The oil rig industry is a lot like many others in that you often have to start at the bottom and work your way up the ladder. The thing that lures many people into oil rig positions are the large salaries that are often on offer when taking a job on a rig. Some of the rig workers that have specialized skills and positions can earn as much as $300,000 per year, but with that reward comes long work hours that can go as high as 80 hours per week, as well as a dangerous work environment. It is going to take a lot of hard work and training if you wish to find an oil rig job that pays that well, as it will not just be handed to you. While there are some positions, such as IT jobs that are mentally taxing expect the vast majority of entry level oil rig jobs to be more physically demanding than anything else. You will need to adopt the “roughneck” mentality if you want to survive and prosper. If the thought of back-breaking work and getting your hands dirty doesn’t scare you off, then you may just be a prime candidate for an entry level oil rig job. Below, you will find a list of the positions that you will have the best luck getting into if you have no previous oil rig experience. Keep in mind that landing one of these positions is no guarantee that you will automatically start heading up the ladder. First things first, though, let’s look at the entry level positions keeping in mind that landing one may mean having to relocate to an oil rich state like Texas or working offshore. 1. Floorhand - This is a position that is definitely considered to be the very bottom rung of the oil rig career ladder. That said, it’s still an important position, as floorhands take care of the jobs that other employees don’t have time to get to. 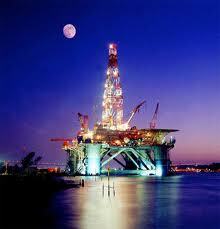 Almost all of the tasks are manual and will include cleaning, minor repairs and maintenance on the rig. Some folks get disillusioned when landing this particular position, but working hard and doing a good job can mean that you can quickly move upwards, especially if you take the time to get the correct certification, licenses and training. 2. Welder - Applying for a welding position on an oil rig will require you to have a certain level of familiarity with how an oil rig actually works. The position of welder pays about $40,000 per year, but you also have to understand that allowances and free boarding will also be added on top of that salary. 3. 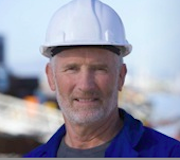 Steward - Everyone on an oil rig has to eat, so if you are okay with a cooking and cleaning position in the kitchen, this could be the oil rig job for you. You will be working under the head cook, which means you had better be prepared to follow orders and work hard in this job. While this may sound like something of a lesser role, the steward position is one that is incredibly important, especially when you consider that food is the fuel that keeps the other oil rig workers going through their physically demanding jobs.